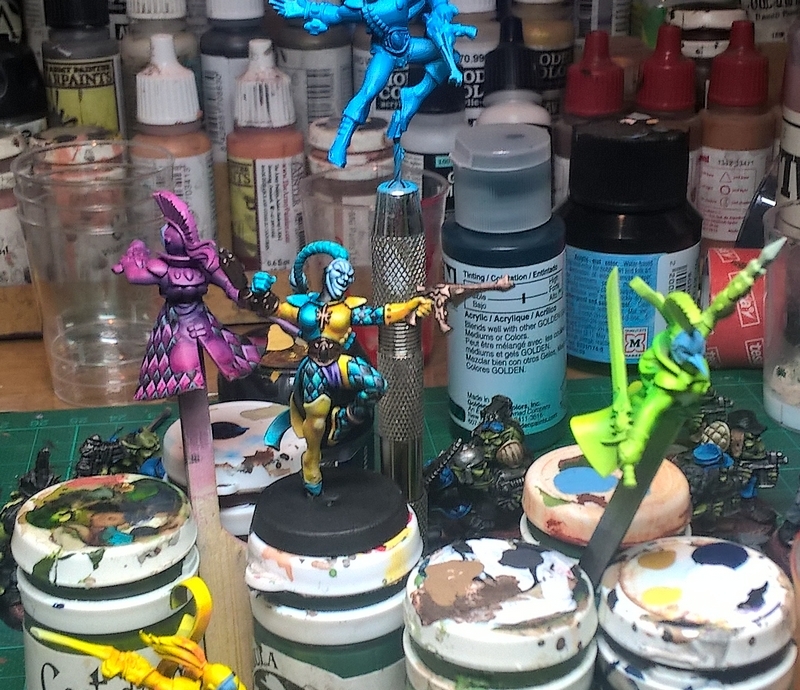 Heyhey, I'm currently working on a Troupe of 6 fancy Harlequins! First time I've had the new-ish plastic Harlequins in hand. What a great kit that is. These are just a one-off warband for Shadow War:Armageddon (and actually will see action in a demo game at Austrian Salute on the 17th of March!). So stay tuned for how these turn out.